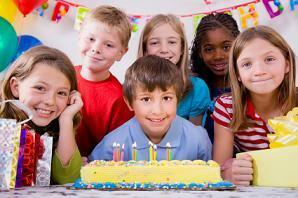 Discover fun birthday party ideas. Party slideshows provide essential party advice and exciting new entertaining ideas. The invitation is the first impression guests receive of your party. Make sure it's a good one. Consider the age of the guests in selecting a menu, theme and activities. A party with teens will require a completely different approach than a 50th birthday celebration. Party themes help unify any event, offering ideas for decorations, food and activities. A good game can always liven up a celebration. Plan games that match the theme or occasion, such as Christmas party games, or just enjoy some classic party game ideas. The holidays offer an easy excuse for planning a party. However, the demands of the season can make planning stressful. You want to create a festive atmosphere and make guests glad they took time out of their busy schedules to join you. Find New Years Eve party ideas, tips on using Chinese New Year graphics and more. A special event, such as a family reunion, deserves special consideration. Plan activities to fit the occasion. You don't have to spend a lot of money to plan a fun event. Make your own party decorations to put a personal touch on the atmosphere while also saving money. Printing you own invitations is another way to combine personalization and frugality. Keep an eye on these party slideshows for fresh new ideas to bring to your next celebration.